Violinist Leena Abdelmoity puts her passion for the law to work at Youth Court and Project SKIP. Nelle Henning loves caring for others. She volunteers at Wyandotte Pregnancy Clinic (WPC) and at Shawnee Mission Medical Center Neonatal Intensive Care Unit. George Frees teaching a class during Fantasia, a school enrichment program, called Freezing Fun with Liquid Nitrogen. Grace Weber is passionate about helping both people and animals. Each year, the Youth Symphony of Kansas City is comprised of approximately 450 students grades 5 through 12 from 120 schools on both sides of the state line. In addition to a passion for music, some of the same students can be found working in their communities to make a difference in the lives of others. The types of volunteer efforts Youth Symphony students engage in vary as much as their personalities and interests. Youth Symphony Director Steven Murray noted that organizations such as the Youth Symphony and others the students support, exist in large part to the kindness and generosity of others — whether through volunteerism or philanthropy. Nelle Henning, homeschooled sophomore of Leawood, Kansas, has been playing violin since she was four years old. In the past few years, another passion has entered Henning’s heart — caring for her community. One day a week, you’ll find Henning at the Wyandotte Pregnancy Clinic (WPC), where women and families facing unplanned pregnancy can go for assistance. 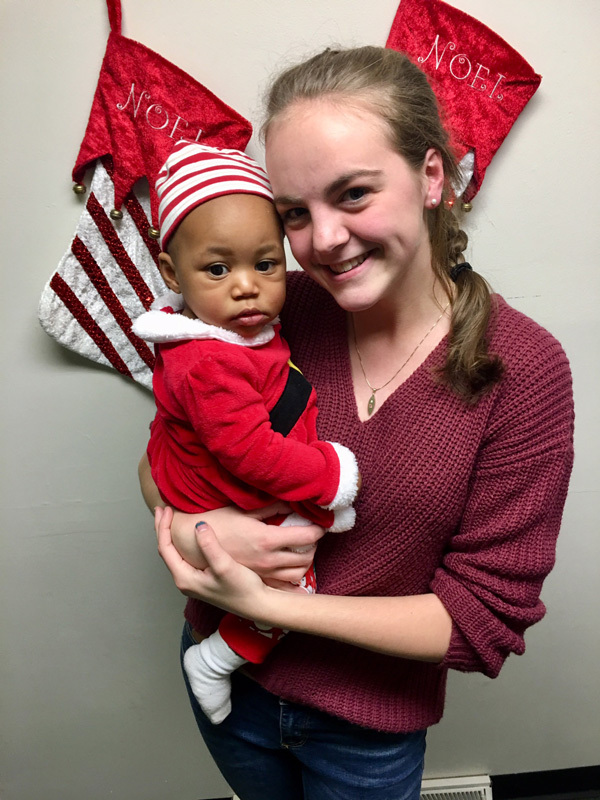 She organizes donations, directs fellow volunteers, assists with classes and even holds collection drives for maternity and baby supplies. Additionally, every Saturday since May, Henning has volunteered at the Shawnee Mission Medical Center Neonatal Intensive Care Unit front desk checking in visitors and assisting nurses with administrative work. Because of her time spent volunteering in the medical field, Henning is considering a career in nursing. “I can really see the love of the nurses for the patients and their families,” she said. Caring for the homeless is also important to Henning. Her entire family — including Henning, her parents and three brothers — regularly band together in volunteer efforts. For the past few years, they have been volunteering at the Shalom House and Bishop Sullivan Center, organizations that offer food and shelter to the homeless. Henning looks forward to continuing her volunteer efforts and hopes that other students will be inspired to find something they’re passionate about and go volunteer, too. George Frees, freshman at Harrisonville High School, has been playing trumpet since sixth grade. The son of a teacher, Frees has also picked up a passion for educating others. “I believe that everyone can benefit from a good education and that it can improve anyone’s life for the better,” Frees said. He volunteers in roles that help further the education of others whenever he gets the chance. A particular subject he loves to teach is science. This school year, Frees taught a class for Fantasia, a school enrichment program, called Freezing Fun with Liquid Nitrogen. 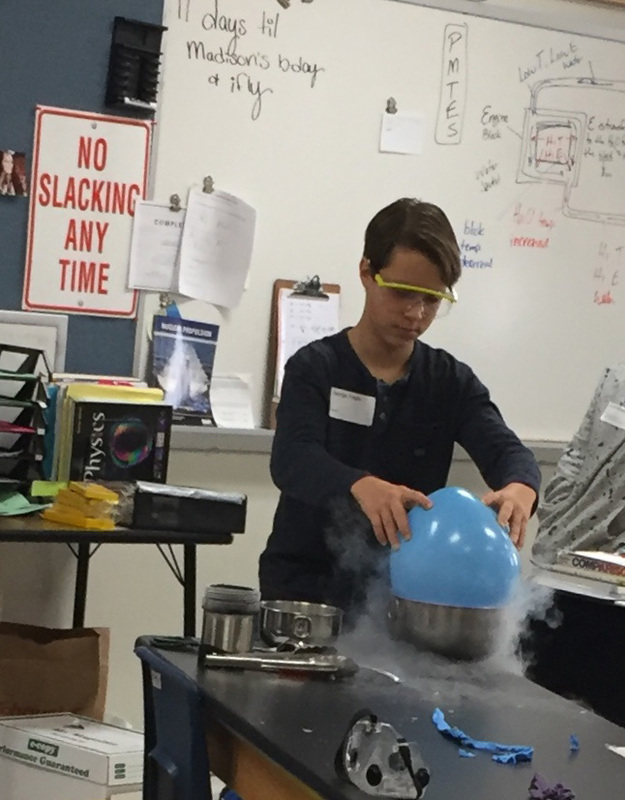 He developed a lesson plan on basic chemistry, acquired a tank of liquid nitrogen, prepared supplies and taught two hour-long sessions to more than 30 fascinated kids. They shrank and expanded balloon animals, shattered flowers, ate frozen whipped cream and explored the properties of gases. Frees looks forward to volunteering more of his time in the future and hopes that other students realize volunteering is something we can all do. “Just help out where you can and it will make a lot of difference,” Frees said. 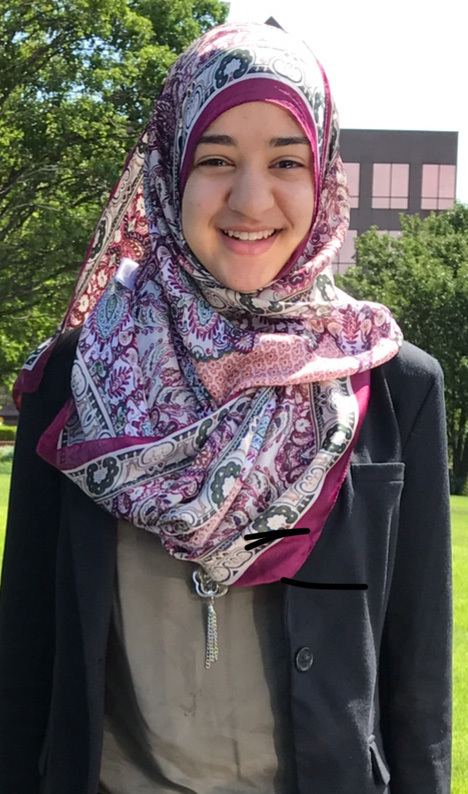 Violinist Leena Abdelmoity, junior at Blue Valley West High School, puts her passion for the law to work at Youth Court and Project SKIP, helping youth stay on track for a brighter future. Youth Court is a voluntary alternative to the formal juvenile justice system in which juvenile offenders are sentenced by their peers. The goal of Youth Court is to provide early intervention to youth who commit first time misdemeanors such as theft, battery or misconduct by sanctioning them mainly with community service hours. As a volunteer defense attorney, Abdelmoity advocates for a low number of community service hours. Project SKIP is a prevention/early intervention program designed to help truant youth set a “game plan” to attend school regularly and graduate on time. Truant students go before a panel of volunteers who review cases referred by the district attorney’s office. Looking to her own future, Abdelmoity hopes to expand her advocacy efforts to include refugees. Trombonist Grace Weber, seventh grader at The Pembroke Hill School, will tell you she is passionate about helping both people and animals. She volunteers whenever and wherever she is able. One way she enjoys helping people is volunteering for After The Harvest, an organization that engages volunteers to help pick up food remaining in farmers’ fields and get that food to families in need. 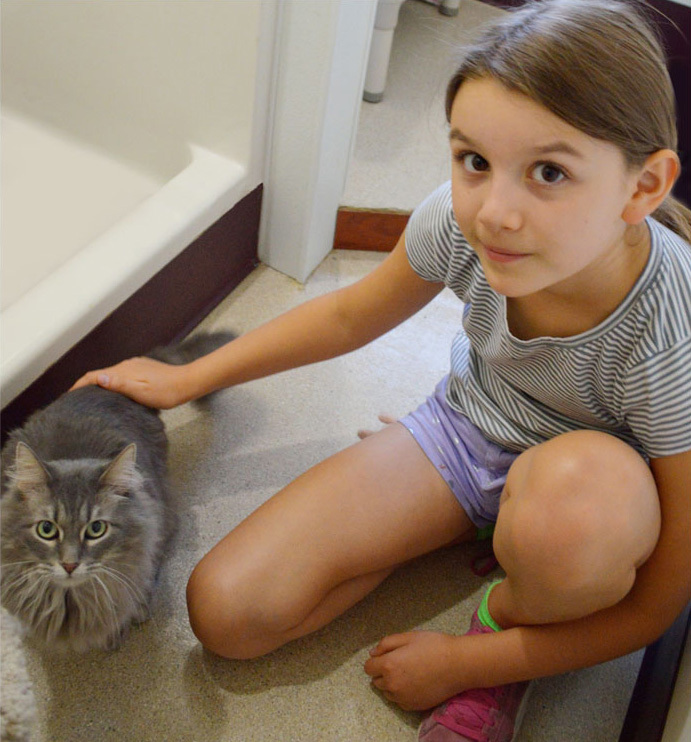 For our furry friends, Weber volunteers at Friends of Parkville Animal Shelter (FOPAS). Every Sunday for the past three years, she’s helped out in the cat house. She also volunteers for various shelter fundraisers. Weber has been featured in the FOPAS calendar every year since she started as a volunteer. Last spring, with the help of her family, Weber fostered a litter of feral kittens that she found in a parking lot after a choir concert. The kittens were aptly named Treble, Alto, Soprano and Poco. Weber worked with the animal shelter to get them adopted. Weber’s work at FOPAS in 2017 earned her a Presidential Service Award, something she’s very proud of. She said her goal for 2018 is to serve more than 50 hours. Weber said she hopes to see other students get involved in volunteer work.